UvA researchers have discovered a new material that can catalyse the decomposition of cyanide ions in process waste streams. The catalyst has been patented and attracts interest from industry. Germany's oldest gold and silver refining company Heimerle + Meule is now examining the possibilities of using the catalyst for waste effluent treatment. The research is part of the research priority area Sustainable Chemistry. Gold, silver, platinum and palladium are used all over the world in coins, bullion, investments, jewellery and electronics. But there is a less shiny side to these metals as well: their production and refining processes typically require large amounts of cyanide salts, which are highly toxic. Gold-producing companies must treat their waste before they can release it to the environment, and this is a costly and dangerous process. A possible solution to clean the waste comes now from the labs of the UvA's Research Priority Area Sustainable Chemistry. Dr Paula Oulego Blanco, Dr Raveendran Shiju and Prof. Gadi Rothenberg have discovered a new material that can catalyse the decomposition of cyanide ions in process waste streams. Initially, the technology transfer focused on steel mill effluents, a project that is now moving to the scale-up stage. But the catalyst also aroused the interest of the precious metals sector (where process volumes are lower, but cyanide concentrations are much higher than in steel production). 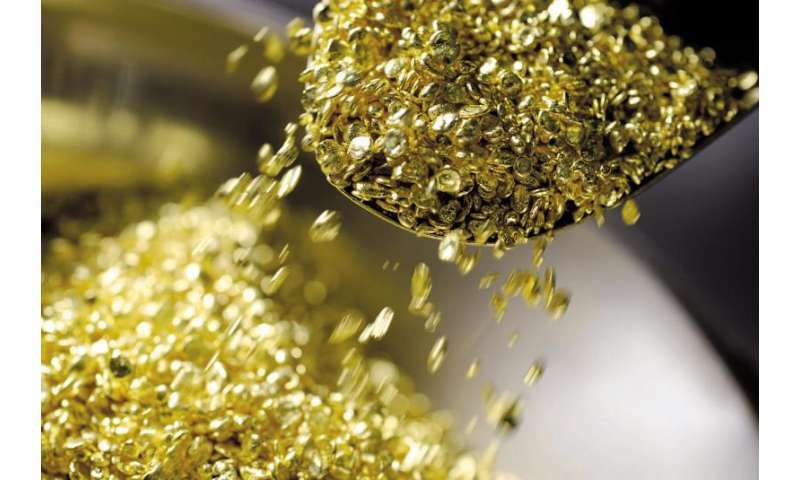 Heimerle + Meule, Germany's oldest gold and silver refining company, set up a bilateral collaboration with the UvA to test whether the new catalyst can actually be used in treating real-life precious metals process water. In these samples, the cyanide concentration can be 10,000 times higher than in steel mill effluents. The catalyst must therefore show both fast kinetics and good stability to be effective. Indeed, the test results on industrial samples showed that the catalyst is highly effective, removing over 99.9% of the cyanide in a matter of minutes. Based on these positive results, Heimerle + Meule is now examining the possibilities of integrating this new catalytic process into their waste effluent treatment plants. The German company is aiming at an exclusive new wastewater treatment technology in the precious metals sector. How dangerous is the sodium cyanide found at the Chinese explosion site?